The American Knife & Tool Institute (AKTI) applauds the Louisiana House of Representatives for HB 892, which repeals the prohibition on automatic knives in the state. The bill, sponsored by Representative Mark Wright, R-77, will repeal the archaic state laws that impede on the rights of law abiding citizens of Louisiana. 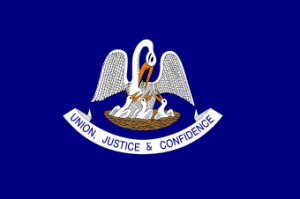 According to the House of Representatives’ digest of HB 892, current law in the state of Louisiana prohibits, “the manufacture, ownership, possession, custody, or use of any switchblade knife, spring knife, or other knife or similar instrument having a blade which may be automatically unfolded or extended from a handle by the manipulation of a button, switch, latch, or similar contrivance located on the handle.” This leaves Louisiana in the minority of states still restricting possession of automatic knives.